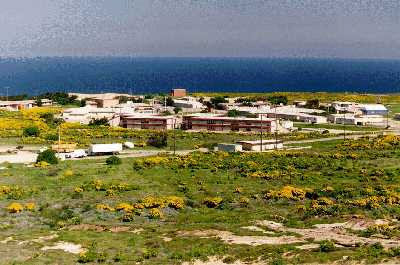 "The Humane Society of the United States is the nation's largest animal protection agency and considers the Preferred Alternative of padded leghold traps and shooting cats as inhumane regardless of how this EA labels and defends this strategy...In absolutely no case should USFWS shoot cats on San Nicolas Island." In a paper entitled "Finding of No Significant Impact (FONSI)," the USFWS reported on March 25th that between November of 2008 and January of this year that it and the HSUS caught seven of the cats in live traps and removed then to a shelter in Littlerock, Los Angeles County. The document is conspicuously silent as to how many cats already have been either snared in leghold traps or gunned down by assassins. Bloodhounds also are being brought in to track the cats and marksmen equipped with battery-powered torches will hunt them at night. The USFWS's killing spree is being financed to the tune of $1,854,100 in welfare dollars and is expected to take about two years. Even those seven cats humanely removed from San Nicolas face an uncertain fate because the USFWS has stipulated that they must be imprisoned indoors. "These cats must be kept for the remainder of their lives in humane conditions in Service-approved facilities that prevent the cats from escaping and threatening wildlife on the mainland," according to the FONSI. Not about to leave any stone unturned, the USFWS is forcing any individuals and groups that volunteer to either foster or adopt them to sign a contract mandating that the cats will be kept inside at all times. In practical terms that constitutes a de facto death sentence for them. Should they be willing to invest the time and resources, it might be possible for shelter workers to socialize for adoption any kittens that are brought in alive, but as far as it is known there are not any indoor sanctuaries for feral cats. Worst of all, no one is monitoring the fate of those cats and kittens that are removed from the island. Consequently, it is a good bet that those cats trapped last winter already have been killed. If against all odds that should not be the case, it is the solemn duty of the HSUS to provide the public with factual evidence as to their well-being. In the final analysis, the inveterate cat haters and criminals at the USFWS win all the way around. They get the pleasure of slaughtering cats on San Nicolas while their accomplices at HSUS polish off those few that are removed from the island. The phony-baloney and disgraceful HSUS is therefore serving as the Devil's imp all the while masquerading as something altogether different. By mandating that all cats removed from San Nicolas be jailed for life, the USFWS has unwittingly revealed that it is pursuing a far more ambitious agenda than merely attempting to restore San Nicolas. The goal that it and wildlife biologists and bird advocates everywhere are pursuing is nothing less than the complete eradication of all cats from the face of the earth. This is proven not only by the USFWS's categorical rejection of all humane alternatives to killing the cats but by the United States Navy's intermittent extermination campaigns over the past thirty years. The Navy, which operates a base on the island, could have humanely solved the conflict years ago simply by initiating a trap, neuter, and return program but that would have been far too humane for those professional killers. Nothing short of the forfeiture of an ocean of feline blood and a mountain of dead cats will ever satisfy the cat-hating devils within USFWS and the Navy. Of course, these cretins are far too dishonest and cowardly to ever come out and admit the truth. Instead, they not only vehemently deny the obvious but proclaim their abiding love for the species even as go about their en masse exterminations. Hendron, for example, has learned how to employ this age-old dodge to her advantage every bit as adroitly as Linda Winter of the American Bird Conservancy and others. "I myself have three cats," she bellowed to the Daily Nexus of UC-Santa Barbara on April 16th. (See "Felines Threaten Island Wildlife.") "Sometimes difficult decisions must be made." Hendron's sottise is tantamount to a mother professing her love for her children in one breath while in the next demanding that all orphans in the neighborhood be hunted down and shot. The only thing that nonsensical statement like Hendron's prove is that in addition to being criminals, individuals who think and behave like she does are grotesque liars to boot. The UWFWS certainly has not altered its policy. In fact, it most likely already has begun shooting down cats, chasing them with bloodhounds, and ensnaring them in deadly leghold traps. The only thing that has changed is that the loathsome HSUS has sold the cats down the river. While it is tempting to suspect that some behind-the-scenes weasel deal lies at the heart of the HSUS's treachery, it must at the same time be remembered that the agency never has been very supportive of feral cats. For instance, it was not until 2006 that it reversed its policy and grudgingly endorsed TNR. It previously had referred to TNR as "subsidized abandonment." Even on its web site it still stubbornly insists that "the best and safest place for cats to reside is in people's homes." Since TNR and a cats indoors agenda are totally incompatible, the HSUS's avowed support for feral cats is meaningless. Furthermore, the HSUS's abandonment of San Nicolas's cats is not surprising when viewed in light of its numerous other sellouts. Most glaringly, in the past it has professed support for both the so-called "humane slaughter" of farm animals as well as vivisection. Like PETA, it also wanted to have all of Michael Vick's fighting dogs killed. At last check, roughly forty-eight of the fifty or so dogs seized from his property have been either adopted or are in the process of being rehabilitated. Clearly, there never was any need to have killed any of these horribly abused animals. The organization's Martin Stephens even had a rather tepid reaction to the Pentagon's outrageous practice of blowing up helpless pigs. "This is a worthy goal, trying to prevent soldiers from being injured by roadside bombs," he told USA Today on April 9th. 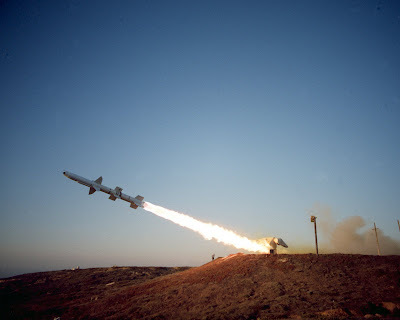 (See "Military Used Pigs in Blasts to Test Armor.") "I think the relevance of this is highly questionable. People are not pigs." Despite its duplicity, HSUS continues to rake in the big bucks. For instance, in 2007 it had an operating budget of $120 million and boasted a membership of almost eleven million. Included amongst the faithful are politicians and celebrities who continue to either wittingly or unwittingly support its corrupt agenda. Viewed from this perspective, it would be far more accurate if it were to change its slogan from "Celebrating animals, confronting cruelty" to something more appropriate, such as "Celebrating the acquisition of big bucks and power all the while simultaneously turning a blind eye to animal cruelty." "The Humane Society should be worried about protecting animals from cruelty. It's not doing that," its own chief investigator Robert Baker told U.S. News and World Report way back on October 2, 1995. (See "One Nonprofit's Woes.") "The place is all about power and money." Even right-wing blowhard and rabble-rouser "Lush" Limbaugh has been buttonholed into appearing in one of the organization's videos where he declares, "I've been impressed with what I'm learning about them." "I have a cat. That little cat, Punkin, is a treasure to me. If anybody harmed Punkin they would be punished by me," Limbaugh proclaims in the video. "There has to be a price for animal cruelty. The helpless cannot be left without defenders." Without belaboring the point, the HSUS, like its kindred spirits at PETA, is a festering cancer on the body of the animal rights movement. What is needed are individuals and groups that genuinely value animal life, not bloodsucking, moneygrubbing frauds who worship at the altar of death. The deafening silence of other cat protection groups is almost as reprehensible as the HSUS's complicity. For instance, Alley Cat Allies, Alley Cat Rescue, and Nathan Winograd of No Kill Solutions have yet to even publicly comment on FONSI. On April 14th, Cat Channel ran a brief article on the eradication without comment. (See "Feral Cats to Be Eliminated from San Nicolas Island.") Obviously, the network's suits and reporters are making good money and could care less about the fate of the island's cats. Even the usually reliable Best Friends Animal Society of Kanab, Utah, is mentioned in the FONSI as having been involved in discussions regarding last winter's trapping scheme. Apparently, it came to its senses and pulled out of the arrangement at the last moment. Nevertheless, it is imperative that Best Friends make a clean chin of it to both its supporters and the public. In particular, it must explain what it was doing in the sack with the USFWS in the first place. More to the point, San Nicolas's cats were brought to the island against their will by farmers and the Navy precisely to keep the rodent population in check. They then were cruelly abandoned and left to fend for themselves. Consequently, there is not any way that killing these already horribly exploited and abused cats can be considered to be just by any yardstick. Secondly, the USFWS relies upon the discredited theory of natural right as an excuse for its crimes. Under that fascist dogma, animals and plants are divided into native and non-native species and the latter eradicated. As Nobel laureate and Holocaust survivor Issac Bashevis Singer once put it, "in their behavior toward creatures, all men were Nazis." Indeed, when applied to human affairs, such thinking has been used as a justification for genocide. Despite all the hypocrisy, injustice, and heinous crimes that such malignant thinking has spawned, it nevertheless continues to flourish inside the desiccated gourds of wildlife biologists and bird advocates. For instance, since 1925 cats have been systematically exterminated from at least sixty-six islands. In the Channel Islands, they have been extirpated from San Miguel, Santa Cruz, and Santa Barbara and most likely will be eventually eradicated on Santa Catalina and San Clemente as well. In Baja California, they have been exterminated on Coronado North, Natividad, San Benito, San Martin, and the Todos Santos Islands. Such a rationale is an open-ended prescription for all sorts of evil. For instance, it could be used as an excuse to empower Native Americans to drive out their European colonizers or to bring back Neanderthals so as to use them to liquidate Home sapiens. A considerable amount of the thinking and tactics employed by the USFWS, bird advocates, and wildlife biologists in this country has been imported from their equally morally deprived cousins in Australia, New Zealand, and South Africa. In order to subdue those distant shores, the colonialists imported millions of cats and other domestic animals which they turned around and rewarded for their invaluable service by first abandoning them to fend for themselves and then with bullets to the head. Moreover, between its captive breeding programs and electronic tagging initiatives, the USFWS treats even the species that its champions as little more than glorified guinea pigs. 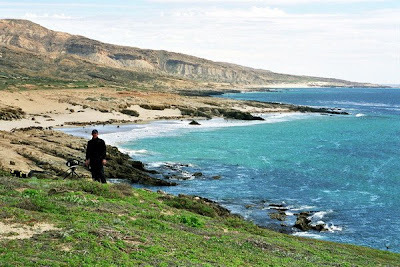 If the USFWS and the Navy were even halfway serious about restoring San Nicolas they would immediately vacate the island and leave the animals to live in peace. Whether they are willing to admit it or not, they constitute an invasive species themselves and according to their own dogma do not have any right to be there. Plus, their activities are far more harmful to both the animals and the environment than the cats. They are not about to pack up and leave, however, because it is precisely through their killing, exploitation and abuse of the island's flora and fauna that they are not only able to line their pockets but to pursue their fascist agendas as well. In addition to being cat killers and welfare bums, the USFWS conspired with its supporters within both the capitalist media and the political establishment to railroad the extermination of San Nicolas's cats by an inattentive American public and thus to subvert both the law as well as the democratic process. Its dishonest public relations offensive began on May 15th of last year when it informed Dianne Feinstein, Barbara Boxer, Lois Capps, and Elton Gallegly of California's congressional delegation of the soon to be released EA. On May 19th, USFWS posted the EA on its Region 8 web site as well as the one belonging to the Montrose Settlements Restoration Program (MSRP). Copies of the report also were sent to public libraries in Oxnard, Santa Barbara, and Ventura County. The EA itself it must not be forgotten was prepared by a handpicked group of cat-hating wildlife fanatics that do business under the imprimatur of H.T. Harvey and Associates of Fresno. Much more importantly, all cat advocacy groups were deliberately excluded from having any input during the preparation of this one-sided anti-cat screed. On that same date, press releases were sent to the Los Angeles Times, the Venture County Star, the Orange County Register, the Daily Breeze of Torrance, and to six-hundred individuals and groups on the MSRP's mailing list. Only one public meeting was held and that was at Ventura City Hall on June 4th. On June 17th, the USFWS stopped accepting comments from the public by arguing that the thirty-day period required by law had been satisfied. The Ventura County Star therefore deliberately sat on the story for eighteen days before releasing it to the public. Even then it dispatched reporter Zeke Barlow to the island to film a two-minute anti-cat diatribe concocted by Navy biologist Grace Smith. The Star now has gone so far as to dredge up this scurrilous video and repackage it with its April 10th story on the FONSI. The public accordingly only had twelve days in which to comment on the EA as opposed to the thirty mandated by law. Even so the USFWS received 5,788 responses. Of those, the USFWS categorically dismissed 4,323 because they were generic e-mails. The lesson to be learned from this is that only handwritten letters delivered by the U.S. Mail carry any weight with the authorities; e-mail letters and electronic petitions are a waste of time. Of course, tyrannical and corrupt bureaucrats, such as those who run the USFWS, never listen to the views of anyone other than their paymasters. Writing to elected officials is likewise a total waste of time for everyone except large campaign contributors. America has the worst political system that money can buy. Make no mistake about it, the war on cats is real and those individuals and groups who knuckle under to the dictates of the species' enemies are committing a colossal faux pas. The USFWS, birders, and others look upon each capitulation as a sign of weakness and each retreat serves only to strengthen their resolve. Finally, cats are not an invasive species. They have been living in the New World since at least 1516 and more than likely they accompanied the Vikings when they came over five-hundred years earlier. "I happen to think it is cruel to deny a cat a cat's life," Tony Acosta wrote in Sedona Biz on April 22nd. (See "Outside or Inside: Should a Cat Be Free?") "Others think I'm cruel for allowing my cat freedom. I think they are wrong and maybe they should have their fingernails pulled out and live locked in a house for the rest of their lives so they could understand what cruelty really is." Acosta, who cares for a cat named Atilla, went on to point out that humans have a choice when it comes to where and how they live but hypocritically deprive their cats of that same right. (See photo above of Attila.) 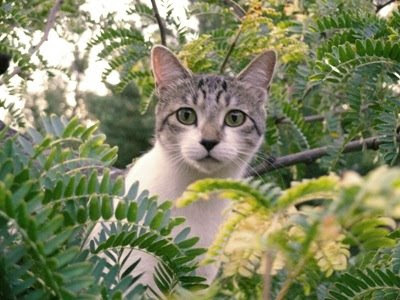 The USFWS and other rabid cat-haters carry this prejudice one step beyond by denying feral cats the right to even exist. As for those spineless cat advocacy groups that are sitting idly by twiddling their thumbs while San Nicolas's cats are being systematically annihilated, they can be assured that a time is coming when they are going to rue their silence and cowardice. "If you will not fight for the right when you can easily win without bloodshed, if you will not fight when your victory will be sure and not so costly, you may come to the moment when you will have to fight with all the odds against you and only a precarious chance for survival," Winston Churchill once opined. "There may be a worse case," he continued. "You may have to fight when there is no chance of victory, because it is better to perish than to live as slaves." Photos: HSUS (logo), Veterinary Technician Magazine (Peterson), Channel Islands Adventure (San Nicolas Island), Los Angeles Times (Punkin), Michael Wall Engineering (sailors' barracks), Naval Air Warfare Center Weapons Division (rocket), and Sedona Biz (Attila). "I don't know if he's helped save my life or not, but he's saved me from some full-blown breathing attacks. I'm now getting more sleep than ever because it takes an hour to get back to sleep after an attack." Afflicted with emphysema, the retired engineering consultant used to wake up early mornings gasping for breath. He then would have to get out his inhaler in order to pump oxygen back into his lungs. All of that is a thing of the past following the arrival of Blackie. Now, whenever he wakes up it is to Blackie licking his forehead. "I don't know if he's helped save my life or not, but he's saved me from some full-blown breathing attacks," Bennett told the Democrat-Herald on January 10th. (See "That Cool Cat.") "I'm now getting more sleep than ever because it takes an hour to get back to sleep after an attack." By closely monitoring his sleeping companion's breathing pattern, Blackie has learned to anticipate these attacks. "He's in tune with Chuck," Meehan told the Democrat-Herald. "I wonder if he stays awake just to be sure he will be there to wake Chuck up. Maybe that's why the cat sleeps so much during the day." The first time that Blackie came to his rescue Bennett misunderstood his intentions and thought instead that he wanted to go outside. "But when I didn't say anything to the cat, he started bumping his head into my side and arm," he recalled. "When I still didn't say anything -- I didn't know he wanted me to -- he put his teeth on my hand but didn't bite." Once Bennett got out his inhaler and reassured Blackie that he was all right, the cat immediately curled up on the bed and went back to sleep. Now, with Blackie watching over his slumber, it does not appear that he is going to be joining Johnny Carson, Samuel Beckett, T.S. Eliot, and Guy Madison (old-time radio's Will Bill Hickok) in the next world anytime soon as another victim of this chronic obstructive pulmonary disease (COPD). Blackie arrived at Bennett and Meehan's Takena Street residence in August of 2004 after he scampered through a hole in the fence. Since he had been sterilized and cruelly mutilated, it immediately was obvious that he previously had been domesticated. Consequently, they sought and received permission from a neighbor who had been feeding him to adopt him and he has been with them ever since. Because of his sedate personality, he is the perfect companion for the retirees. Like them, he is a connoisseur of classical music and routinely attends Meehan's piano recitals. The ivories also come in handy whenever he wants to be let out in that all he has to do in order to attract his guardians' attention is to give them a few swipes with his paws. Individuals who adopt homeless cats are saving lives and these grateful animals will repay them for their kindness for as long as they live. That certainly has been the case with Blackie and Bennett. Moreover, as the general public becomes better acquainted with the numerous health benefits associated with cat ownership, hopefully this will lead not only to fewer of them being abandoned but to more adoptions as well. In particular, their ability to anticipate attacks and to detect cancerous growths should open up new employment vistas for them in doctor's offices as well as in private residences. Already renown for their ability to lower blood pressure and to catch mice, cats such as Blackie, Tiger, and Oscar are living proof that the species has a huge reservoir of untapped potential. Best of all, these talents can be exploited without inflicting upon them the despicable crimes that laboratory cats are subjected to every moment of the day. Photo: David Patton of the Democrat-Herald. "Der bewegt sich! Der lebt!" Firefighters Stefan Lorscheid and Alexander Hintzen were sifting through the more than sixty tons of rock and debris that once was the Koln archives at around 3:15 p.m. on April 6th when Lorscheid unexpectedly heard a faint meow. Upon investigation, he spied the head and front paws of a mackerel-colored cat staring back at him from out of the ruins. "Ich hab's im Gefuhl gehabt, dass Felix nicht tot ist," Schroeder, who works for the telephone company, declared to the Kolner Express on April 6th. (See "Kater nach vier Wochen aus den Trummern gerettet.") "(Er ist) ein Kampfer." He furthermore has been placed on a special diet and is being given electrolytes. "Er ist sehr schwach und kippt um, wenn er zum Beispiel alleine aufs Sofa klettern will," Schroeder told the Kolner Stadt-Anzeiger in the article cited supra. ""Er frisst auch noch nicht, schnurrt aber, wenn man ihn streichelt." Since the bed in which he was sleeping at her parents' apartment perished in the collapse, Schroeder has gotten him a new one along with another litter box. Both he and her parents are now bunking at her place. Veterinarians speculate that Felix survived by drinking rain water, of which Koln certainly has had plenty of recently. Also, cats as a rule are hardy animals with an ironclad will to live. That is the only way that they have flourished for so long in a hostile world. Cats additionally are capable of feeding off of their reserves of fat as well as being able to slow down their metabolism rates and thus conserve energy. The rain water that Felix was able to lick up provided him with just enough moisture in order to prevent him from dying of thirst and to keep his kidneys functioning. While all of that is no doubt of paramount concern, it nevertheless fails to do justice to how Felix was able to cope with the loneliness, hopelessness, and psychological torture that accompanied his long confinement. Moreover, in human terms he is the equivalent of sixty-four-years-old and for him to have mustered the will power to persevere is nothing short of amazing. It is doubtful that many young men, let alone senior citizens, would have been capable of doing the same. 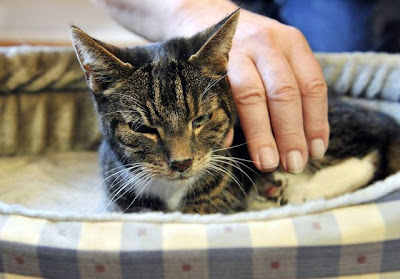 While Bonny's brush with death could have been prevented if her owner, Monika Hoppert, had been more attentive, there is not much that cat owners can do about disasters, such as the one in Koln, that occur without warning. Nonetheless, it is a good idea to know at all times where cats can be found and to keep a cage handy so that they can be quickly scooped up and carried to safety in an emergency. Since Schroeder's parents knew where Felix was sleeping, it is unclear why they did not take him with them when they fled. More than likely, they were too intent upon saving their own skins to be bothered with a cat. The collapse of Felix's dwelling and the Stadtarchivs has been blamed on the slipshod construction of an underground rail line. It is theorized that huge amounts of groundwater and mud seeped into the tunnels and thus weakened the supports of the structures overhead. 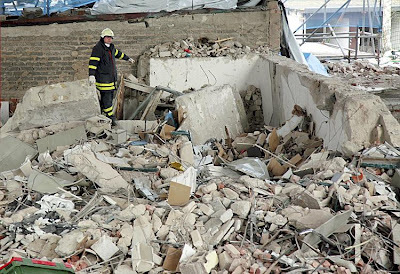 Although it is not known how many cats were killed, the collapse claimed the lives of two young male apartment dwellers. With sixty firemen and an army of volunteers painstakingly picking through the debris twelve hours a day, six days a week, approximately fifty per cent of the archives have been retrieved so far although they still need to be dried out, cleaned up, and reassembled. Included in the recovery are the papers of Konrad Adenauer, the Bundesrepublik's first chancellor, and manuscripts belonging to Albertus Magnus. Despite all of that, saving a life always takes precedent over retrieving old documents and that is why Dr. Daniel Leopold of Koln's Fire Department told the Rheinische Post in the April 6th article cited supra that rescuing Felix was "unserer schonster Fund." On a somber note, Felix's sister, Cleo, remains among the missing. Photos: Krasniqi of the Kolner Stadt-Anzeiger (Lorscheid in the rubble and Schroeder with Felix) and Deutscher Depeschendienst (Felix in a box). "He (Tiger) would climb into bed and take his paw and drag it down my left side. He was adamant there was something there. And it was right where the cancer was." A trip to the doctor's office and an X-ray confirmed Adams's worst suspicions: he had stage one lung cancer. Surgeons then operated and removed a corroded portion of his lung about the size of a soda can. Although Adams's long-term prognosis is unclear, he certainly would have been in considerably worse shape if it had not been for Tiger's heroics. "I think if he hadn't done the pawing part it could have gone on for another five, six months undetected," he speculated to the Sun in the article cited supra. "I feel like it could have been a lot worse if the cat hadn't tuned us in to something there, to something he felt was wrong." Although dogs are famous for sniffing out cancers and anticipating seizures in people, anecdotal evidence strongly suggests that cats also possess this life-saving ability. Like dogs, they too possess a keen sense of smell and are acutely attuned to subtle bodily changes in their guardians. "If they spend a lot of time with you, they learn a whole lot about you, your body language," Barbara Walmer of the Calgary Humane Society told the Sun. "When things change because of illness they pick up on it, so whether they know if it is cancer or something is changed, we don't know." The important thing to remember is that because of Tiger's interest, Adams is alive today and has a head start on fighting this deadly disease. It is just one more bit of data in a growing body of knowledge that strongly suggests that there are huge health benefits associated with owning a cat. Perhaps almost as importantly, Tiger's good deed helps to dispel the age-old prejudice that because of their independence and aloofness cats do not care very much about their guardians. 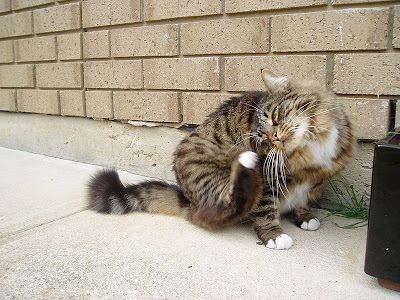 As most cats owner already know, they can be every bit as affectionate as dogs. "I have shipped animals to three continents and too numerous to mention over the years." The horrific crimes perpetrated by the breeders of both hybrid and pedigreed cats are by no means confined to clandestine and unregulated out-of-the-way catteries. After all, once they have completed their sexual and genetic shenanigans, they still must devise a means of delivering their Frankenstein creations to their partners in crime, i.e., the unconscionable members of the buying public. The cheapest, fastest, and easiest way of achieving that objective is to cram these already outrageously abused cats into tiny cages and ship them in the cargo holds of airliners. By and large, these naked abuses fly underneath the radar until a breeder makes a stink about one or more of his valuable manipulations dying en route and costing him a small fortune. 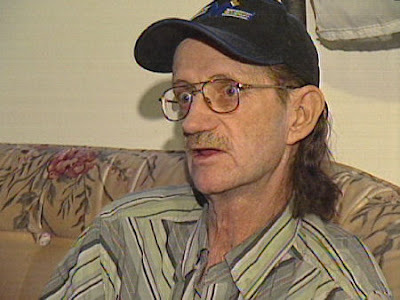 Earlier this year, Cranston, Rhode Island, breeder John Froais used an unidentified airline in order to ship a pregnant Minskin to another breeder in Oregon. Tragically, the cat and her unborn kittens arrived at their destination frozen as solid as a block of ice. In the recriminations that have followed, each side has accused the other of negligence. The airline, for its part, sent the dead cat's corpse to Houston where a necropsy performed at a veterinary clinic determined that she had died of uterine toxicity as the result of multiple dead kittens. Either point of view could be valid; it all depends upon what occurred first. The cat could have died from complications related to her pregnancy and then froze or she and her unborn kittens simply could have died from the cold. Presumably, an honest veterinarian would be able to ascertain which came first. To its credit, the airline offered to return the cat to Froais so that he could commission his own post-mortem but he has demurred. "I've learned any evidence I could have gotten to prove death of hypothermia is out the window," he told WPRI-TV in the article cited supra. "They froze it, refroze it, froze it, and refroze it." Although he certainly was not on hand to witness what transpired at the airport in Oregon, Froais claims that baggage handlers took the cat out of its cage and placed it in front of space heaters in an effort to thaw it out and thus cover up the fact that it had frozen to death. The carrier claims that it does not have any knowledge of that occurring. So far, all that he has received in compensation is the cost of the cat's ticket although it is conceivable that the airliner may eventually reimburse him for the loss of his cat as well. Last year, for example, Delta Airlines fully compensated Jackie Douglass of Auburn, New Hampshire, after one of its baggage conveyor machines at Hartsfield-Jackson in Atlanta ran over and killed a West Highland White Terrier puppy named Maggie Mae that she had ordered from a breeder. Froais can blame the airline all he wants but that in no way alters the fact that he is the one who is responsible for the deaths of the cat and her unborn kittens. Nobody who cared about a cat would ship it in the cargo hold of an airliner, especially a pregnant one! The entire idea is simply monstrous and constitutes the very epitome of animal cruelty. Nevertheless, such outrageous behavior is par for the course with Froais. "I have shipped animals to three continents and too numerous to mention over the years," he boasted to WPRI-TV. More importantly, the dangers that cats and other animals are subjected to when flying are almost too numerous to delineate. In addition to the numbing cold, those flown in the cargo holds of jets also are killed by hyperthermia. These trips are traumatic enough even for those animals who somehow manage to survive them. Deprived of both familiar surroundings and human contact, they are not only bandied about like sacks of potatoes but subjected to loud, frightening noises unlike anything that they have previously experienced. Misguided owners also compound the dangers by sedating their pets. Sadly, some of them never revive. Animals also have been known to die from the elements while stranded for long periods of time on the tarmac when flights are delayed. Careless baggage handlers not only lose cages but sometimes drop them thus allowing animals to escape and never to be seen again. This is believed to be one of the principal reasons that many airports have substantial populations of stray and feral cats. Thanks to Section 710 of the Wendell H. Ford Aviation Investment and Reform Act for the Twenty-First Century, Public Law 106-81 of 2000, it is virtually impossible to determine how many animals the airlines kill, injure, and lose each year. That is because this little known provision narrowly defines an animal to be "any warm or cold-blooded animal which, at the time of transportation, is being kept as a pet in a family household in the United States." Consequently, the airlines are not required to report to the Transportation Department deaths and mishaps involving animals used in commerce. As a practical matter, that excludes livestock, laboratory animals, those sold in pet shops, trafficked in zoos, and shipped by breeders, such as Froais. Current United States Senator Robert Menendez of New Jersey who, at the behest of the airlines and those groups who abuse and exploit animals for profit and pleasure, authored that ridiculous piece of legislation while a member of the House of Representatives is now feigning total ignorance of his handiwork. "I believe current policies do not reflect congressional intent," he had the chutzpah to charge in a letter sent last October to then Secretary of Transportation Mary Peters. "I am surprised and disappointed that animals covered by this law have been defined in such a narrow fashion." Departmental spokesman Bill Adams shot back on October 31st by arguing that its definition of an animal "properly carries out the mandate of the statute." Actually, it was the Federal Aviation Administration that made that particular determination after reviewing the text of the legislation, its legislative history, and comments made by its drafters. Apparently, the airlines are Menendez's bailiwick in that earlier this year he launched a campaign to get them to lower the fuel surcharges that they tack on to every ticket that they sell. Although petrol is selling for considerably less than it was a year ago, the price of food is continuing to escalate and Menendez has not shown the least bit of interest in making it easier for the working class and the poor to feed themselves and their families. As a result, the needy are being forced to turn to soup kitchens and food pantries which are struggling to keep pace with the increased demand. It seems only logical that if the surcharges on jet fuel are to be removed the same should hold true for the petrol surcharges that vendors imposed last summer on food that they deliver to restaurants and grocery stores. Like all American politicians, Menendez will not lift a finger to help anyone or the animals unless he first gets paid for doing so. In another glaring example of flagrant dishonesty, the Air Transportation Association, a trade group which represents the airlines, claims that of the half a million animals transported by air each year in the United States less than one per cent are either killed, injured, or lost. Furthermore, it blames even that ridiculously low estimate on either preexisting medical conditions or faulty cages. Even though they are required under Section 710 to report all incidents involving family pets, the airlines rarely come clean. For example, a report issued by the Aviation Consumer Protection Division of the Transportation Department claims that only one pet died on the airlines during all of 2008. That was an English Bulldog named Blake who died en route from Miami to Rio de Janeiro aboard American Airlines Flight 905 on December 1st. A necropsy failed to determine the cause of the dog's death. As far as it is known, the only halfway serious attempt to get to the bottom of this controversy was published November 2nd of last year by The Atlanta Journal-Constitution and entitled "Airline Loophole: Many Animals' Deaths Not Tallied." After reviewing complaints filed with the Transportation Department, it concluded that during the "past year" (presumably either 2007 or parts of 2007 and 2008) United States-based airlines killed twenty-nine pets, injured thirteen others, and lost at least seven. 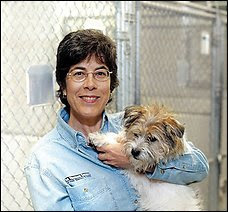 Other than reimbursing customers, both commercial animal abusers and pet owners, for their losses and refunding their tickets, the airlines are sometimes fined by the USDA's Animal Plant Health Inspection Service (APHIS), which is charged with enforcing the minimalist standards of the laughingstock Animal Welfare Act. For example, Delta Airlines was fined $187,500 in 2005 for killing two cats and six dogs between 2002 and 2004. One of the cats was named Hereford who died in the cargo hold of a flight from Portland, Oregon, to Greensboro via Atlanta in November of 2003. In October of 2004, a five-year-old, fourteen-pound cat named Smokey died en route to Atlanta because it was shipped in a cage that was too small. In September of last year, Northwest Airlines was forced to pony up $10,000 for losing a cat named Simbi in 2005 and one named Snowball in 2006. Other than what precious little information that can be weaseled out of the feds and the occasional heartbreaking story that the tabloids pick up, little is known about the extent of feline fatalities on airplanes. Other critics of the airlines paint an even direr picture of this deplorable situation. The New York Post in the article cited supra puts the number of annual feline and canine mishaps in the air at in the thousands while the Animal Legal Defense Fund (ALDF) of Cotati, California, is only slightly less conservative in its estimate. She goes on to point out the obvious. "The skies are not friendly to pets. Most airplane cargo holds are unsafe for animals. Until conditions improve, pet owners should never put their treasured companions aboard a plane. Doing so could seal their doom." Storing pets underneath one's chair or purchasing an extra seat for them are alternatives although both have their drawbacks. In particular, flying is extremely stressful for all cats and large dogs will not fit underneath the seat. The best method to transport pets is by car. For owners unwilling to drive, there are both regular taxi cabs and special pet taxis that can be engaged for a pretty penny. (See Cat Defender post of February 16, 2008 entitled "Saying Good-Bye to the Rat Race, Retired Forest Hills' Couple Hires a Taxi in Order to Transport Their Cats to Arizona.") The quarantine laws of certain countries make international travel with pets neither feasible nor desirable. 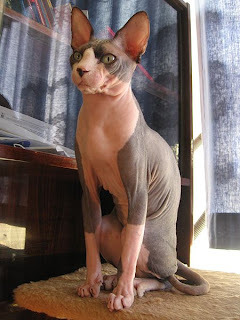 Par exemple, Minskins, a cross between Munchkins and Sphynxes, were developed by Paul McSorley of Boston in 1998. As of 2005, there were only about fifty of them known to exist. The "Min" in Minskin is shorthand for "miniature legs" whereas the "skin" refers to the breed's almost completely hairless body. (See photo above on the left.) That pretty much describes the breed although there are reportedly variants with long legs and full coats. The cats also have hairless stomachs and retain a kitten-like appearance in adulthood. In personality, they are said to be sweet, people-oriented, and to get along well with both dogs and children. Because of their lack of fur, their bodies feel warm when touched. As appealing as those attributes may be to some individuals, true fans of the species would hardly consider Minskins to even be cats. After all, cats are supposed to have fur, long legs, be standoffish around strangers, and to fear dogs. The long and the short of the matter is that individuals who want animals with canine personalities should buy a dog and stop exploiting and killing cats. They are, of course, far too lazy to be bothered with house training, walking, and coping with such troublesome psychological disorders as separation anxiety that come with dog ownership. They likewise do not appreciate cats' legendary independence and aloofness and hybrids thus allow them to experience the best that both species have to offer without any of the negatives. The only caveat being that hybrids are not real cats. Stephen O'Brien of the National Cancer Institute, who worked on the feline genome project, gave the game away when he said, "One thing I'd like to discover is the genes for good behavior in cats --- the genes for domestication, the things that make them not want to kill our children but play with them." As far as it is known, Minskins are fairly healthy cats although genetic diseases could manifest themselves later down the road as the breed matures. Their only obvious drawback is that they must be bathed at least once a week in order to keep their skin supple and healthy. Although technically classified as mutations as opposed to hybrids, Munchkins are prone to hypochondroplasia (short legs with regular size heads), lordosis (inwardly curved spinal columns), pectus excavatum (caved-in chests), joint problems, and breeding abnormalities. 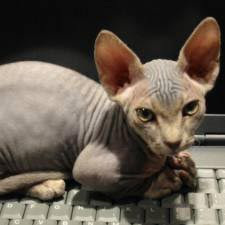 Although hairless cats allegedly date back at least as far as the Aztecs, Sphynxes did not emerge as a breed until a genetic anomaly in Devon Rexes was identified and exploited in 1966. Other than not having any protection against the elements, Sphynxes are prone to skin diseases and pot bellies. Like hybrids and mutants, purebreds also are subject to numerous disorders. Persians, arguably the most inbred of all pedigreed cats, suffer from breathing difficulties due to their flat faces. Their bulging eyes also constantly weep which necessitates that they be wiped frequently by their caretakers. Males are afflicted with cryptorchidism. Siamese are susceptible to lung cancer while kidney disease is the bane of British Shorthairs. 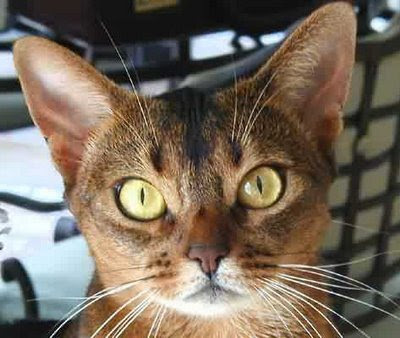 Pain in and around their faces leads Burmese to scratch themselves while Scottish Folds sometimes develop cartilage problems elsewhere in their bodies as the result of having been bred so that their ears bend forward. Claire Bessant of the Feline Advisory Board of Wiltshire has correctly labeled this profound exploitation of cats as a problem of human nature. "We've got to put some moral pressure on breeders not to create extremes and to think about the welfare of cats as a species," she told the Daily Telegraph on March 15th. (See "Inbred Pedigree Cats Suffering from Life-Threatening Diseases and Deformities.") "We should be very vigilant because we have pushed some of the breeds too far." Maurice Melzak, editor of the web site PetStreet, points out that some purebreds have been so horribly exploited that they look as if they have been steamrolled. "It is purely arbitrary, not natural selection. 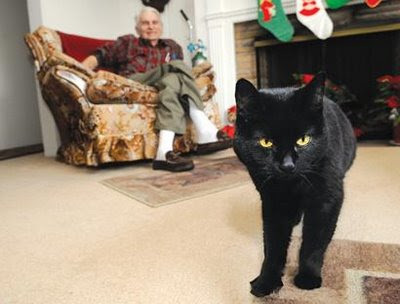 It is man imposing his idea of what a cat should look like," he told the Daily Telegraph. "It is the tyranny of breeding." As Carl Vechten observed way back in 1922, even well-meaning proponents of sterilization are contributing to this alarming development. "But it has become the general custom, except for those who keep kings for breeding purposes, to alter these toms, so that they grow into large, affectionate, and lazy animals, who sleep a good deal, eat a good deal, and are generally picturesque but not very active," he wrote in The Tiger in the House. "These toms are generally the favorites as pets. Personally I am more interested in cats who retain their natural fervor." If these trends continue, cats as they are known today will eventually become extinct and only watered-down versions will remain. Cat-lovers then unwittingly will have delivered on a silver platter the victory that ailurophobes have so fervently sought for millenniums. 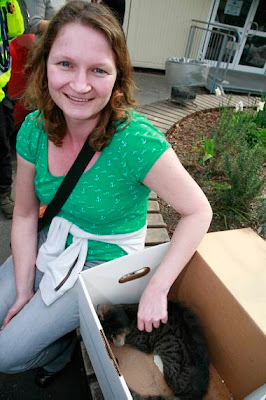 While it is conceivable that Bessant's notion of applying moral pressure might dissuade some conscientious individuals from purchasing purebreds, hybrids, clones, and the like, it certainly will not have any impact upon breeders like Froais and cloners like Betsy L. Dresser of the Audubon Center for Research of Endangered Species. Being inveterate shekel chasers and vainglorious usurpers of the natural rights of both cats and their fellow humans, they are going to continue to abuse, exploit, and kill cats with impunity unless they are somehow stopped. Photos: WPRI-TV (Froais and Masimo), Catster (Minskin), Pockle of Wikipedia (Munchkin), and M. Minderhoud of Wikipedia (Sphynx).